A narrow subject/topic but it only needs one in the know!! Anyone have any reference sources for the Farnley Iron Works?? Big famous site, but lesser known anywhere for the York Road Ironworks?? as an event but the pit is just off their maps I think. The Tithe map has a likely source but it doesn't name mines! The York Road [Pig] Iron Co. is listed in various trade directories but without any other info. Seems it was located on the land behind Summeries on York Road. 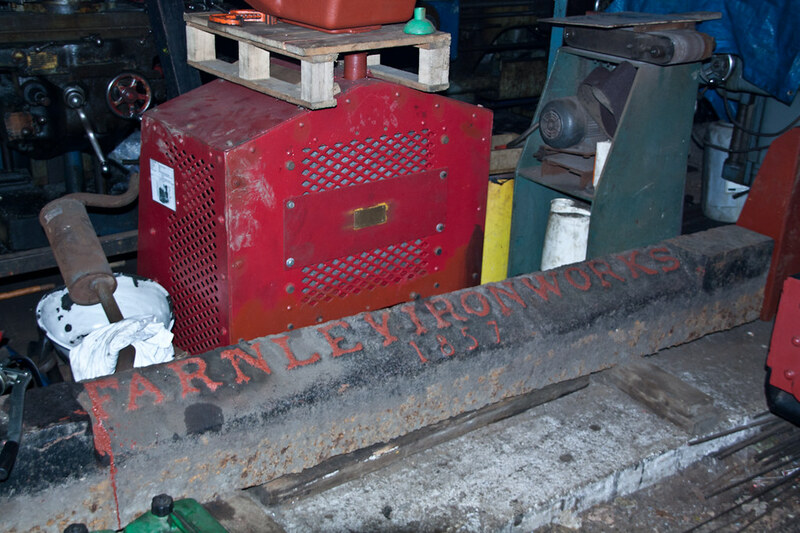 Farnley Iron Works was founded in 1846. Farnley Iron Works produced more bricks than iron a nd eventually became part of the Leeds Fireclay Co (1889). It produced both household and firebricks. Seen at the late, Abbey Light Railway. There is a brief condensed history of Farnley Ironworks and its associated pits and railways in "Industrial Railways and Locomotives of West Yorkshire" (Industrial Railway Society, P58). Another source is "A Portrait of Farnley" (pale green cover, P25/26, I believe the first of three volumes) which briefly deals with iron working in the area, and with specific details of the type and quality of iron obtained and the products made from it. This gives a further reference to a report of the "Iron and Steel Institute"meeting of 1912 as a source. I have a number of historical maps of the Ironworks, including a large scale (approx. 90 feet:one inch) plan associated with the disposal of the failed company's assets in 1920. I am unable to load and post them here, but am happy to provide photocopies to serious researchers. The Leeds mining industry that mined coal, fireclay, Ironstone and ganister (any more?) spawned many other industries brick, glass, iron, pottery,etc and led to Leeds having a whole host of associated networks of railways and tramlines. Reading many books on Leeds at times they give the impression Coal was once mined at Middleton and a railway was built to Leeds to sell it and that's that, which it wasn't. So it's time to build up a proper picture of the Leeds mining industry that I assume made Leeds what it is today. I'm not into "academic" studies as it's so precise, but a well informed simple narrative with illustrations would be something to add to the local history scene rather than us having to find the facts in private reference collections I wouldn't know how to find. So thanks for the answers, information etc and I look forward to being cheeky enough to throw a few more questions out there and when I get something down on paper I won't be crediting myself, but the collective genius of the Secret Leeds gang!